am 06. Mai 2018 beim 10. 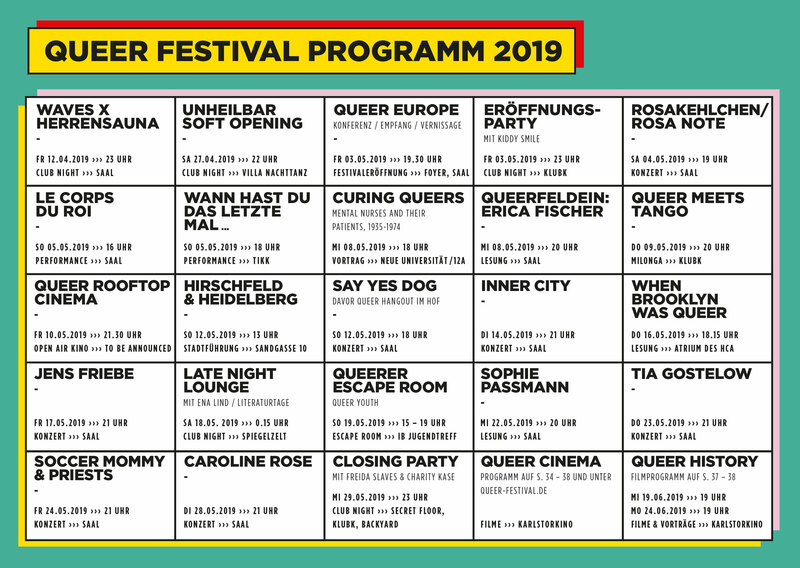 Queer Festival Heidelberg. Although human sexuality and gender identity is incredibly diverse, everyone is born with the same right to live and love freely, without fear of oppression or exclusion. Three films reflect on the challenges, bravery and everyday triumphs of queer communities in several parts of the world and highlight the diversity of minorities within the LGBTIQ spectrum. Pakistan’s first trans model and activist Kami Sid, the festival’s director Yavuz Kurtulmus and Tunisian activist Rzouga Selmi (Unicorn Refugees/PLUS e.V.) discuss the power of positive spaces for storytelling and film as a tool to challenge one-dimensional narratives on migration, people of color, refugees, trans*, religion and more. Moderated by Leyla Jagiella and Danijel Cubelic. A first-of-its-kind silent LGBTIQ film from India, Sisak makes waves before the visuals of this short hit the shore. Set in the fast-paced environs of the usually bustling Mumbai local train system, it details a romance that develops intoxicatingly, nestled in the silent comfort at the end of a day. Produced and Directed by Alice McDowell for Galway Film Centre the film features sexual and gender minority groups around the world who face many forms of discrimination and persecution. As Human as I Am documents stories and strategies from LGBTIQ communities in Nepal, Malawi and Fiji, as they campaign for recognition, protection and inclusion. Harika is a child whose Kurdish family was set refuge from Siirt to Manisa at the end of 1980’s. With their own words, they are transsexual feeling a female spirit in their own body since early childhood. This work is a multiple media project realised by Harika, posing for Tahir Ün’s camera with all their self-confidence and courage. Eine Veranstaltung in Kooperation mit dem Amt für Chancengleichheit der Stadt Heidelberg, Wandlungsbedarf e.V. und PLUS. Psychologische Lesben- und Schwulenberatung Rhein-Neckar e.V.